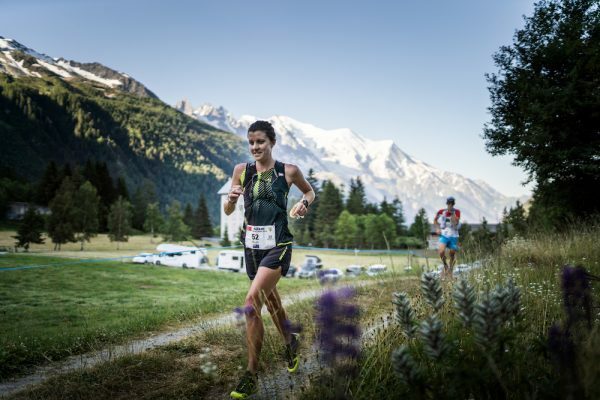 ANNECY, FRANCE — The third race of the inaugural Golden Trail Series is the fastest race of the six on the circuit and is what professional trail runners might call “flat”. The Sierre-Zinal race in the Swiss Alps covers 31 kms and features only “only” 2,200 meters of vertical gain from Sierre to Zinal. Could this year’s race on Sunday, August 12th be the one in which the 15-year-old men’s course record and 10-year-old women’s course record fall? With the top-5 current leaders on the men’s and women’s standings of the Golden Trail Series set to toe the starting line, there’s a chance we could see some history at the race that brings five 4,000-meter peaks into view. Watch a video to see what Ida Nilsson’s race kit will consist of at Sierre-Zinal. After making history by broadcasting the entire Marathon du Mont Blanc in real-time on Salomon Running’s social media channels, the Salomon team will do the same from Sierre-Zinal, bringing live coverage of the race to trail running fans around the world on August 12th. The coverage will be co-hosted by highly accomplished Team Salomon trail running athlete Emelie Forsberg and Majell Backhausen, Salomon’s Global Community Manager for Trail Running. With Salomon volunteers, race organization personnel and Salomon employees stationed along the entire 31km course and others using e-bikes to follow the runners, the broadcast will capture the race as it unfolds. Trail running fans can watch the race broadcast on the Salomon Running Facebook Page and Salomon TV’s YouTube channel. They can share those links on their own social media pages. Born in the French Alps in 1947, Salomon is committed to pushing the boundaries of mountain sports through the creation of innovative equipment that allows people to play, progress and challenge themselves in their chosen outdoor sports. The company produces and sells premium footwear, winter sports and mountaineering equipment, hiking equipment, and apparel specifically designed for all of those disciplines. Products are developed in the company’s Annecy Design Center, where engineers, designers and athletes collaborate to create innovative solutions that continually improve the outdoor experiences of those who see nature as a vast playground.